NB: In order to be admitted into the event you must bring your printed pass, or if you have a smart phone, save paper and show us the pass electronically. DONATE DIRECTLY TO ONE OF OUR PARTNER NGOs. Visit this page for information on the NGOs and links to their donation pages where there will be information on how to make a donation directly to their organisation. Please reference your donation as ‘UTS PASS’ and provide your name and contact details to the NGO. 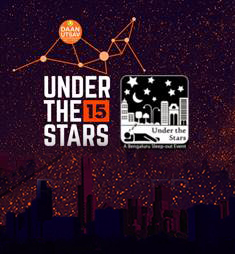 The NGO will provide your details and proof of your donation to the Under The Stars event team. On receipt of this you will be emailed your pass for Under The Stars. NOTE : In order to obtain the “UTS Pass”, the donation made should be a minimum of ₹1100/- for 1 Individual Pass, For 5 passes there is a Rs.500/- discount on the total amount and For 10 passes there is a 1000/- discount on the total amount. 10 pax group pass = Rs. 25000/- of which you must make a donation of Rs.15,000/- to the NGO of your choice and Rs.10,000/- in favour of Bangalore Cares Trust (see below) as a contribution to the common pool. 25 pax group pass = Rs.40,000/- of which you must make a donation of Rs.25,000/- to your choice of NGO and Rs. 15,000/- as a contribution to the common pool.